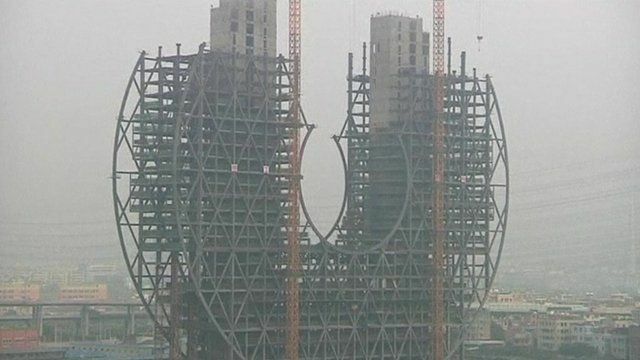 The new Guangdong Plastics Exchange building, in the southern Chinese city of Guangzhou, is polarising public opinion even before construction has been completed. Some say the hole in its centre means it resembles an ancient Chinese coin, making the building a symbol of material wealth. But others think it looks like an ancient jade disc, a mark of moral quality in Chinese society.